Pigmentation can cause your skin to look dull and make you look more tired in appearance. While it is a common problem, proper therapy is the need of the hour to reduce skin pigmentation. There is a tested effective way to do so while ensuring your skin is protected from any harm. Your skin’s topmost layer is made up of pigment cells. These produce melanin. Melanin is the pigment that is responsible for your natural skin tone. Therefore, pigmentation is the coloring of your skin that is achieved due to melanin production. Hyper-pigmentation is what causes excessive skin tanning. It is synonymous to pigmentation. The reason is the excess production of melanin as the number of pigment cells increases. This can be due to various factors and can lead to age spots, post-inflammatory pigmentation, freckles, and melasma among other skin problems. Some of the common factors for hyperpigmentation include hormonal changes and UV radiation. What if you want to reduce the effects of the pigmentation and get back your natural skin tone without the extra tan? For some people, the tanning never seems to go away and just keeps making the skin darker. If you are experiencing this then no need to fret any longer because there is a simple solution to this problem. You can use Kaya’s facial treatment that is completely safe and provides results that are there for you to see. It helps to effectively reduce the pigmentation such as dark spots, patchy skin and skin darkening that increases skin dullness every time you step out of the house. Kaya Lighten and De-tan Facial Treatment helps you get your skin tone back, reduces the problem of uneven skin tone, and helps improve the overall appearance of your skin. The steps taken for performing the facial are as follows. The entire session of the facial takes approximately one hour. It is recommended that you get a facial done on a monthly basis so that old cells are removed and can give way to new cells that help rejuvenate your skin. Exfoliation is the process by which dead skin cells and other harmful particles are removed from your skin. Your skin has an accumulation of dust particles that can harm your skin and give it the dull and dark appearance. 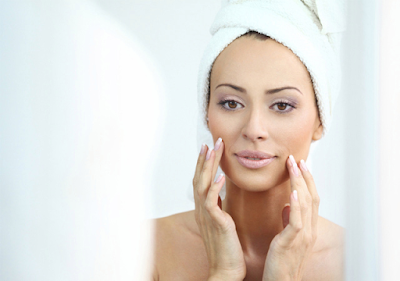 This exfoliation process ensures that free radicals are removed using the Microderma Abrasion technique. The second step in the facial is the application of aloe vera gel. This helps your skin get hydrated and helps maintain the moisture balance of your skin. Moisture is important because the reduction in moisture is what causes dry skin that can cause another host of problems such as skin aging. Aloe vera is soothing to your skin and it easily penetrates in your skin. A serum that has been enriched with Vitamin C is then applied onto your skin. This helps nourish your skin further and helps to reach your skin deeper. When your skin is nourished from within, it can completely rejuvenate and give a youthful appearance. This has the benefit of producing collagen and thus improves your skin’s elasticity as well. A BioWhite facial mask is applied to your skin at the end. This mask helps to tighten your skin pores. The mask is what gives your skin the radiance and helps to brighten your skin. Your skin will feel suppler and your skin will feel softer than before. The tightening and clear skin will help you feel on top of the world. Flaunt the beautiful and radiant you again by booking an appointment with Kaya Clinic today. The expert dermatologists will analyze your skin thoroughly to ensure that you are getting the right treatment for your skin. No more darkening of your skin, post acne blemish and tanning when you don’t want it to. It is time to say hello to the spectacular you that you knew you always were!